Over the weekend, some Bubbleology Tea backgrounders went up on the window at 120 1/2 First Ave., where applicants are hopeful to open a franchise here between Seventh Street and St. Mark's Place. 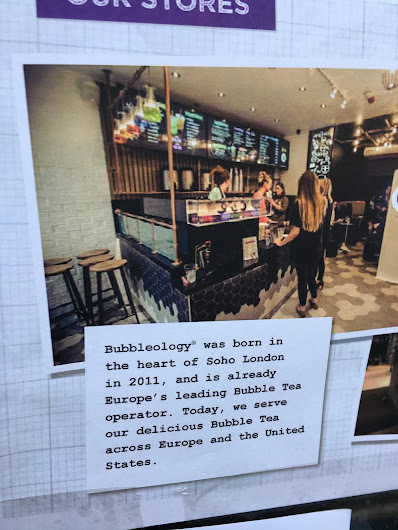 In addition to the beverage menu, Bubbleology Tea will serve a "variety of authentic Sweet & Savoury Toasted English crumpets, as well as assorted snacks," per their questionnaire on file at the CB3 website ahead of Monday evening's meeting. We'll take a look at a few other applicant's on Monday evening's SLA committee docket later this week. The CB3-SLA meeting is at 6:30 p.m. on April 16 in the Public Hotel, 17th Floor, Sophia Room, 215 Chrystie St. between Houston and Stanton. When all else fails, put booze in it. I have an intense hatred of all establishments named -ology. Walked by a pizzeria called 'Pieology' in Brooklyn recently. Yuck. Elton John's first band was called Bluesology, if that eases the pain at all. 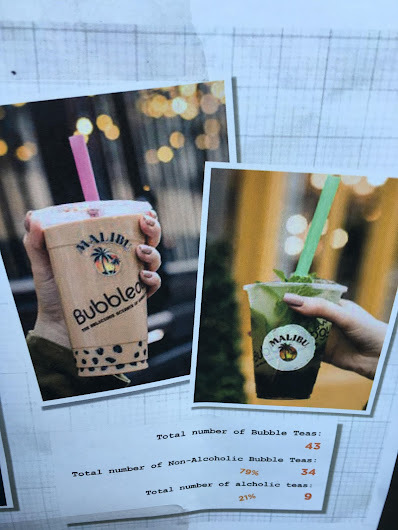 Bubble Tea,with booze - ugh. 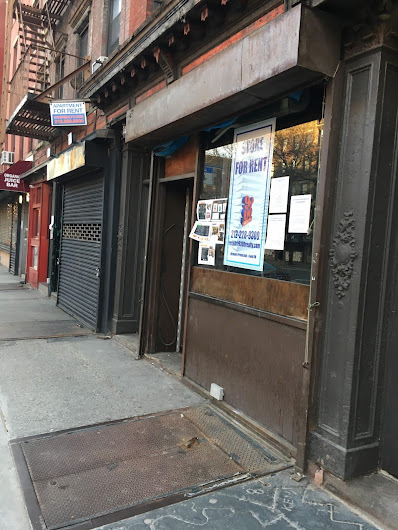 Another mainstream clone shop in the East Village. 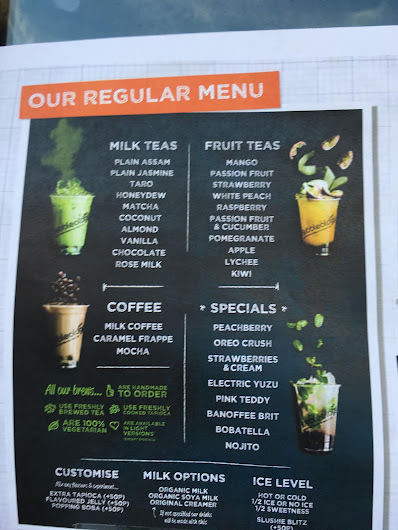 The generic bland college kids will love it though. I am so bored.